SCD Group: Are Associations Neglecting a Big Slice of Potential Members? Are Associations Neglecting a Big Slice of Potential Members? 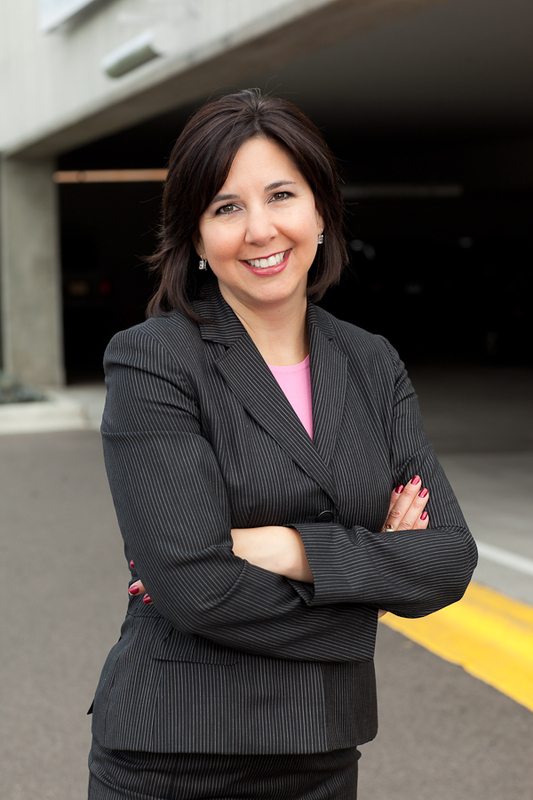 Today's guest poster is Sarah Sladek, CEO of XYZ University and author of The End of Membership as We Know It (ASAE Press). Membership associations are a lot like pizza parlors. For a really long time, associations have been serving pizza. In other words, associations have mastered how to deliver products, services, and events that really appeal to one audience in particular. The baby boomers love the pizza that associations serve up, and in most cases they are the ones frequenting the pizza parlors and eating all the pizza, as well as managing the pizza-making process and restaurant operations, and possibly even making the pizza themselves! Now you have people coming into your restaurant asking what else is available. Maybe they don't like pizza. Maybe they're hoping your association will offer something else in addition to pizza. These new consumers tend to be younger. Their unique interests, needs, wants, and expectations have left some boomers thinking these consumers are self-centered, demanding, and foolish for wanting something other than the fantastic pizza they've made. Suddenly, as the owner of the pizza parlor, your association has a mess on its hands. Your new customers are storming off in frustration while management complains that new customers are needed but they certainly aren't serving anything other than pizza. So what does your association do? Do you stop serving pizza altogether? Or do you continue to serve only pizza? Your pizza parlor should continue producing its great pizza and recruit these new consumers to come in and help your association master making some new foods, too. If your association expects to grow membership, it can't abandon its traditions. But it also can't ignore the opportunity to introduce new members to new members benefits and marketing strategies. The U.S. Census Bureau and Bureau of Labor Statistics both predict that by 2015 baby boomers will cede the majority of the workforce to generation Y. It will be the largest shift in human capital in history. Yet most membership associations remain almost entirely governed and supported by the baby boom generation. If we take an honest look at membership we can see that most associations are still struggling to engage generation X (currently ages 30-46), much less generation Y (ages 16-29)! Can you fathom the world being dominated by people in their 20s and early 30s? The baby boom generation has been in power for so long, it's difficult to imagine our corporations, government, schools, nonprofits, and just about every industry out there being influenced by other generations. And if gen Ys aren't already highly engaged in your association, do you have a plan for engaging them within the next four years? You can't keep your pizza parlor intact and expect to miraculously build a membership monopoly that engages younger generations. It won't happen. So take off your apron, roll up your sleeves, and let's get started on building a highly successful, multigenerational membership monopoly. Many association executives make the mistake of thinking that younger generations just aren't joining their association because they haven't grown into it yet. "Just give it time," they say. "Soon they'll have more interest in their community/more money/more responsibility/more something and they will want to join." And to these associations I say, "Don't hold your breath." Think about it. We're all a little more footloose and fancy-free in our twenties. As we age, we gain more wisdom and responsibility, get tired more easily, and approach life very differently. The behavioral differences between a 20-year-old and 60-year-old are age differences. However, the decision to join an association (or not to join) isn't an age difference. It's a generational difference. Just take a look at generation X---its oldest members are 46 and associations are still struggling to engage them. This generation is nearing middle-age and they still aren't "joiners"! The decision to join an association isn't something you grow into alongside mortgage payments and diaper changing. The decision to join isn't the result of wisdom or maturity; it's rooted in our most basic needs and wants. If younger generations aren't joining your association, there's a reason. It has absolutely nothing to do with their immaturity and everything to do with your association's inability to deliver value to them. As I mentioned above in the pizza parlor example, your association is likely managed, supported, and frequented by baby boomers. That would mean baby boomers are your association's target market. This is all fine and good, but if you want your association to grow and sustain, your target market needs to shift to generations X and Y---and these generations want their memberships to provide them with ample opportunities to learn, lead, and make a difference. Even more basic than that, all members, regardless of age, needs to feel like they belong. Your association doesn't see much turnover within the boomer membership because you are satisfying their need to belong. But what about the other generations? Do they feel like they belong in your association? Belonging by definition means two things. It means that you have a secure relationship and it also means that you have ownership in something. For generations X and Y to feel like they belong, they are looking to your association to listen---and act upon---their points of view, generate new ideas and create alternatives , provide a positive and motivating membership experience, and include them in leadership and decision-making processes. Generations X and Y need to feel a secure relationship and a sense of ownership in your association before they join. In contrast, most baby boomers will join an association because they feel it's the right thing to do and they work at the belonging piece of it after the fact. However, your association will struggle to recruit and retain younger members if they don't feel like they belong in your association. As soon as you understand the significance of that need, your association can begin to make progress towards meeting it. I've made a strong case here in favor of recruiting and retaining younger generations. It's not because I think you should fold up your prosperous pizza-making business and start up a spaghetti factory. What I do want you to do is to start thinking of your association like a buffet. It's 2012 and your most loyal customer base has started to shrink. You may not even notice anything happening yet, but it will. With each passing year, it will get a little smaller and 20 years from now, it won't even exist. The question is: Will your association still exist? Younger generations have different needs and wants. Their appetite is different. Ignore them, and they will find somewhere else to eat. And I'm not talking about feeding a little goldfish here. At 120 million people, generations X and Y are the equivalent of a herd of elephants! They have the power to make or break your association. Start thinking about all the needs within your membership and cater to them all. It's the only way to keep your pizza parlor from going bankrupt.